One of the advantages of green roofs is their ability to attenuate water but there are situations where there is a requirement for either temporary water storage during peak rainfall situations to minimise outflow, or for a larger amount of water to be retained within the green roof build-up with controlled and defined outflow into the local surface water drainage system. The latter is often referred to as a “Blue Roof”. 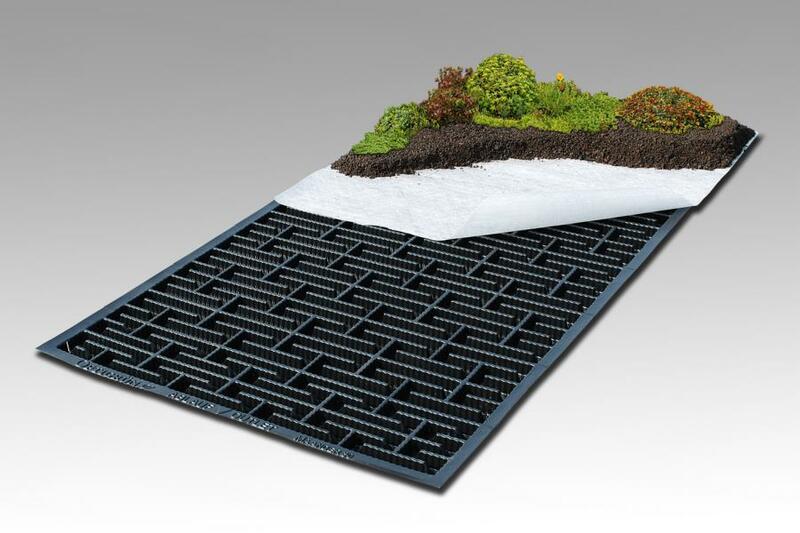 The Optigreen Retention Roof range includes their Meander Roof Solution for controlling peak rainfall run-off, available in 30mm and 60mm board depths, and their Flow Control Solution for blue roofs which works with an adjustable outlet that can be preset to provide the desired outflow rate. This range is available with various board depths up to 150mm. Both of these product ranges are suitable for extensive and intensive green roof specifications on roofs and podiums as well as, in the case of the Flow Control solution, hard landscaped roof areas.